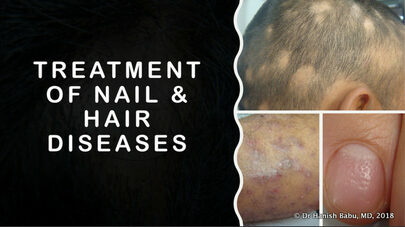 Treatment for psychosomatic skin diseases Intra-lesional injections for patchy hair loss. 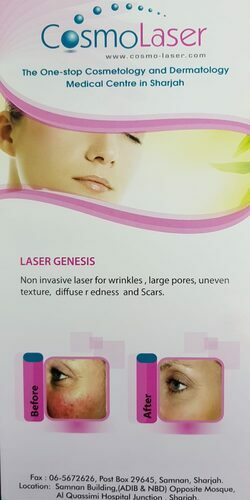 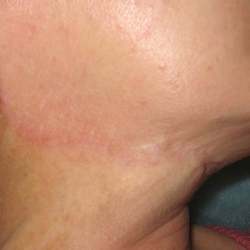 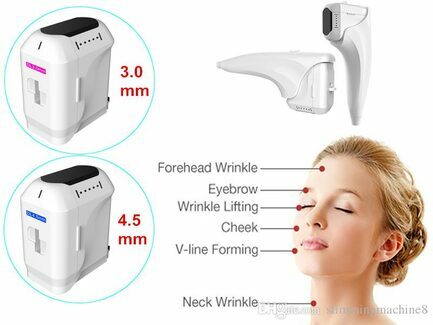 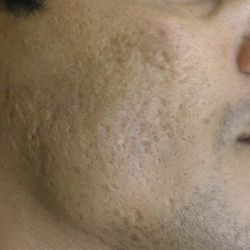 Chemical peels for scars, pigmentation & wrinkles. 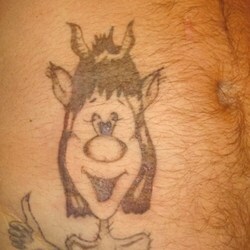 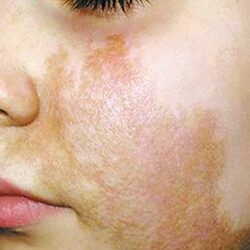 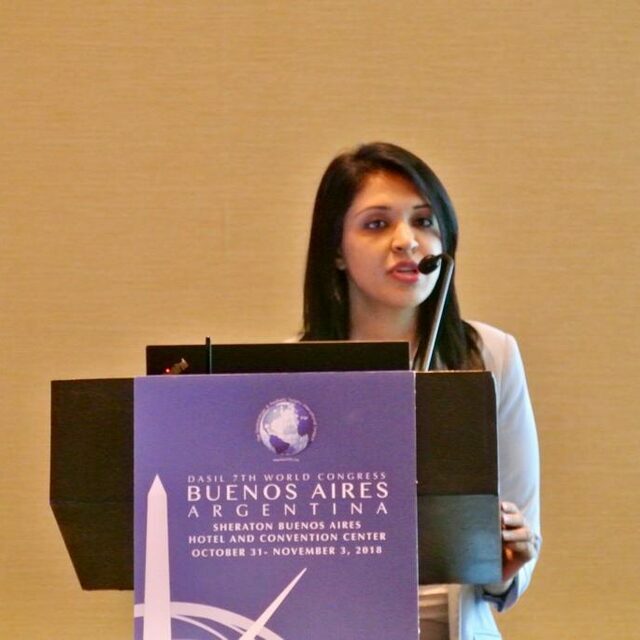 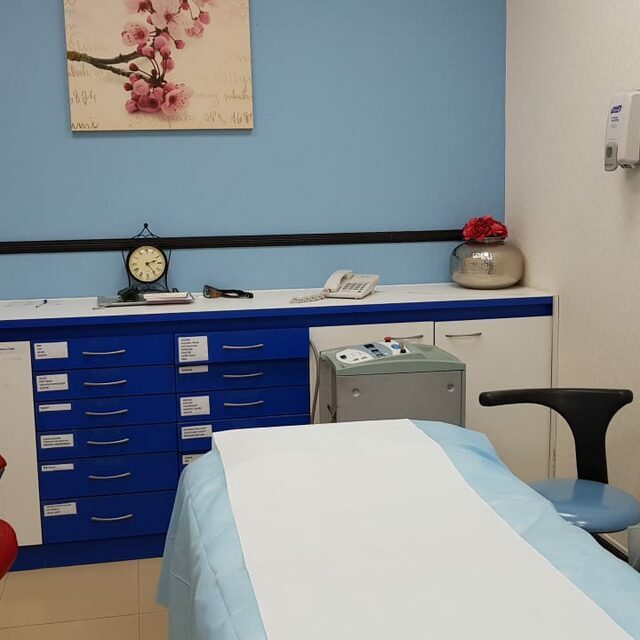 Speciality clinics for Psoriasis, Vitiligo etc. 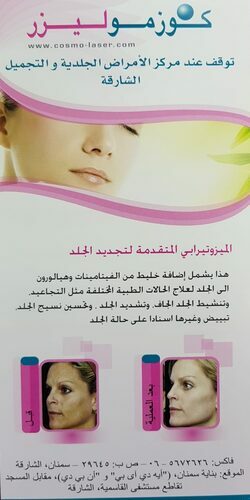 We have solution for every Skin, Nail and Hair Problem! 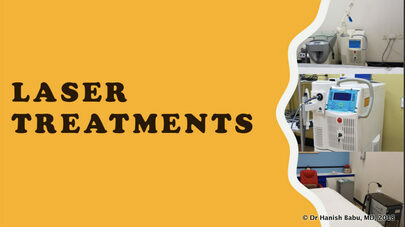 Excess hair growth and unwanted hair growth at unwanted areas are a matter of concern for both ladies and gents. 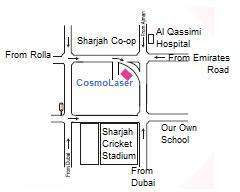 At Cosmolaser Sharjah, we have the perfect solutions tailored specially for you. 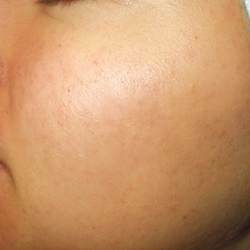 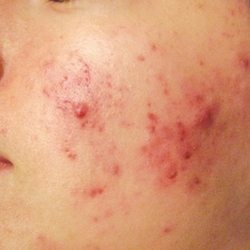 Acne, Skin Blemishes and Scars? 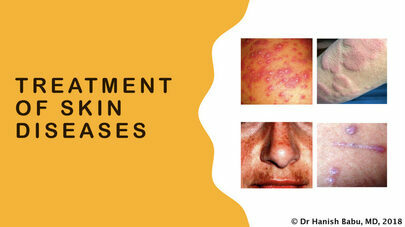 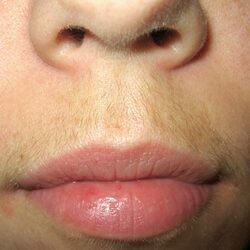 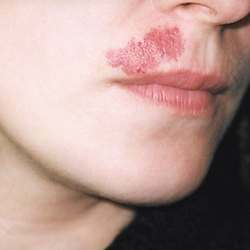 Almost 85% of teenagers suffer from acne and its associated blemishes and scars at least once during their life time. 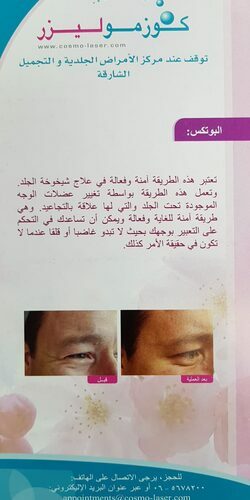 The dermatologists in Cosmolaser Sharjah who are specially trained cosmetologists will help you rid of these problems once for all. 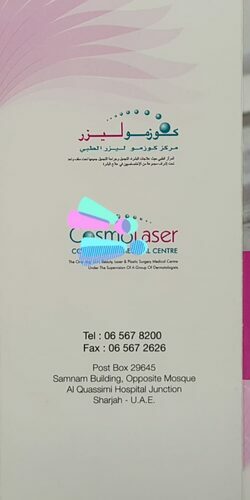 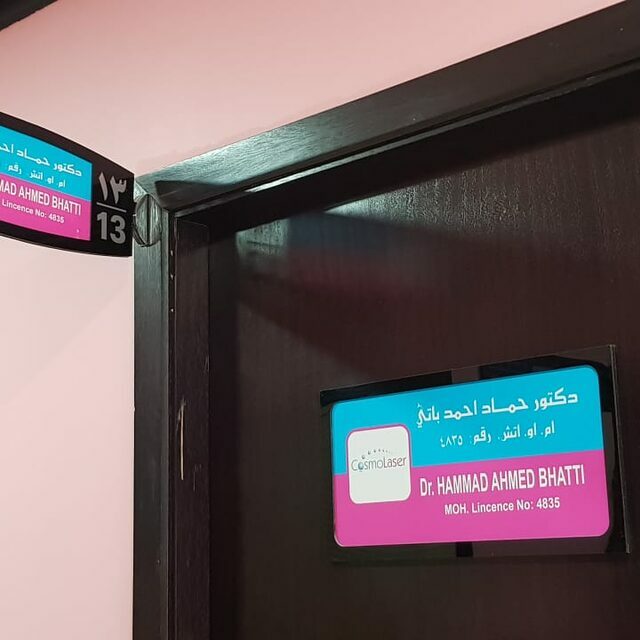 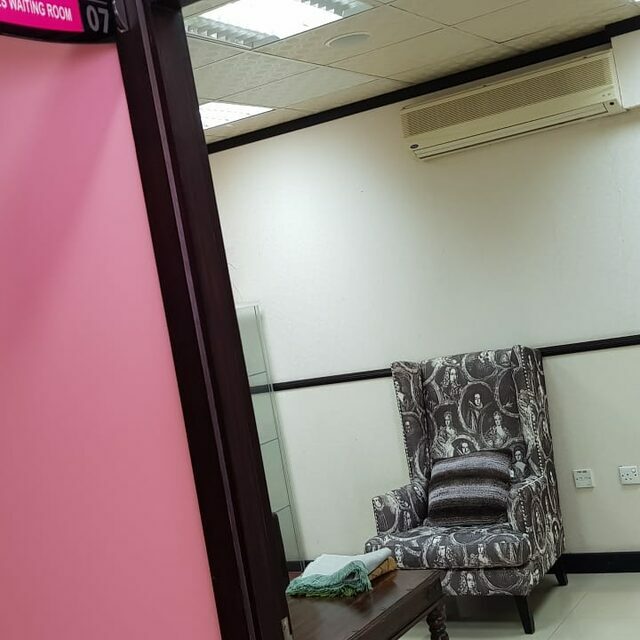 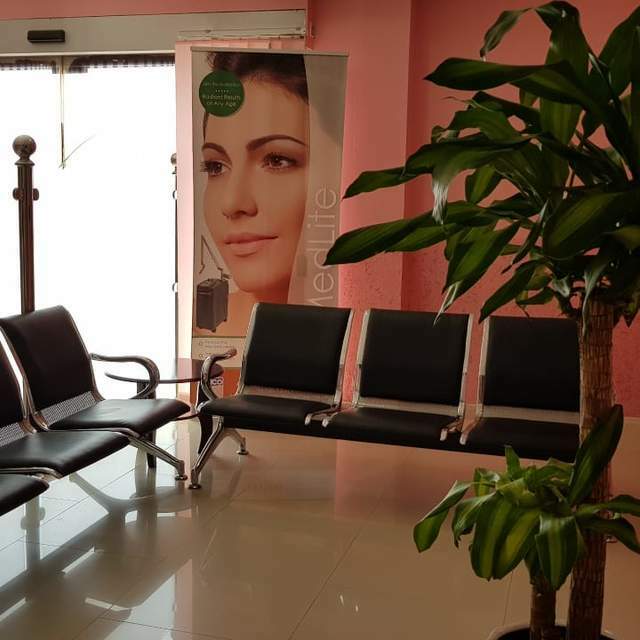 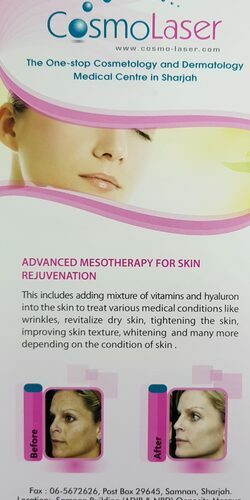 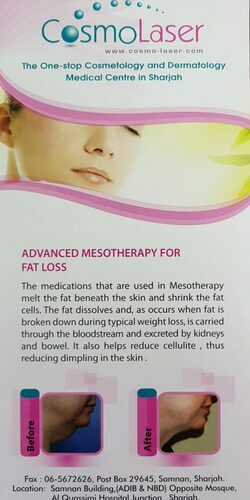 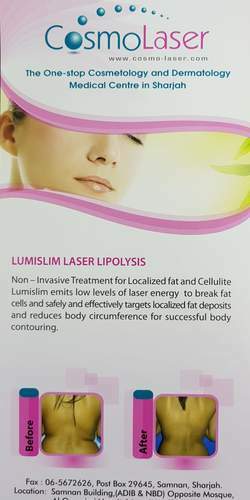 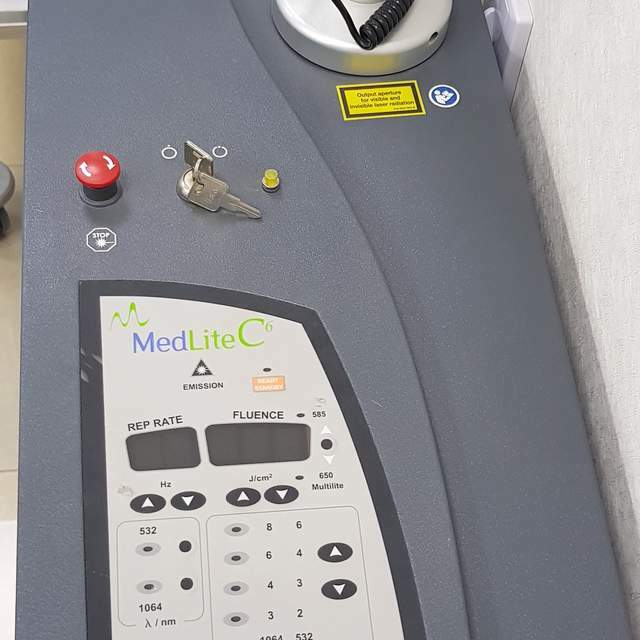 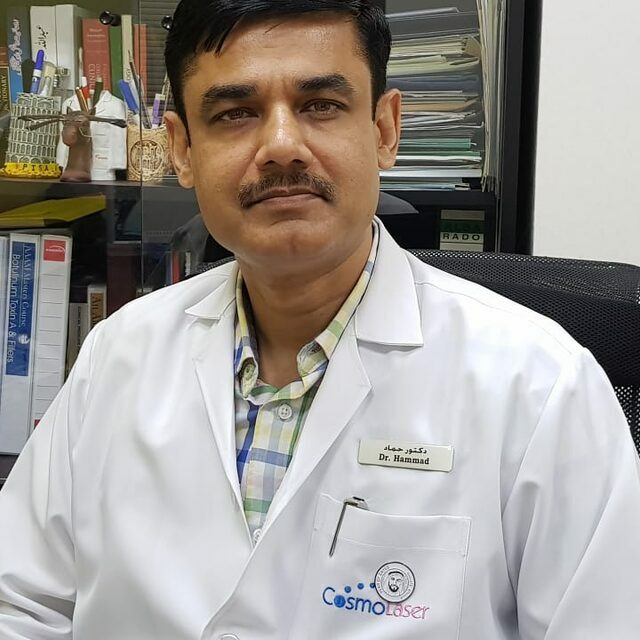 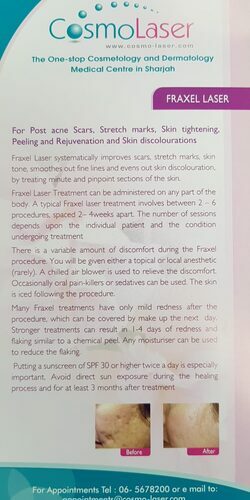 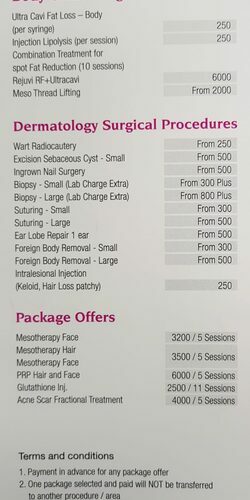 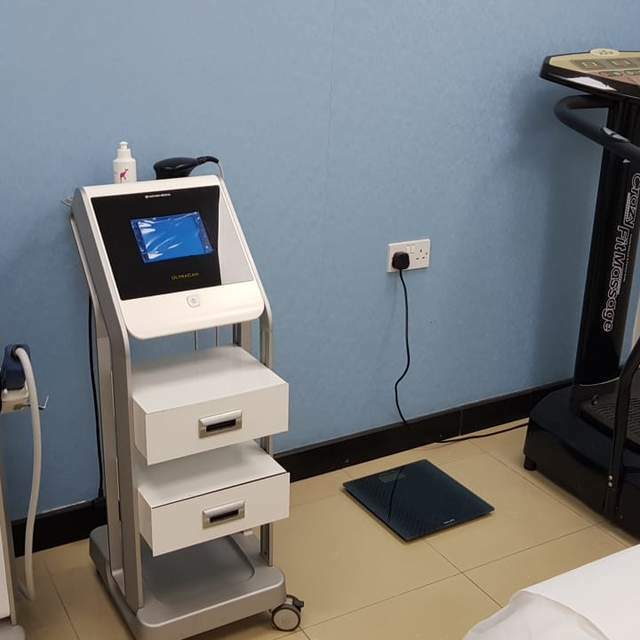 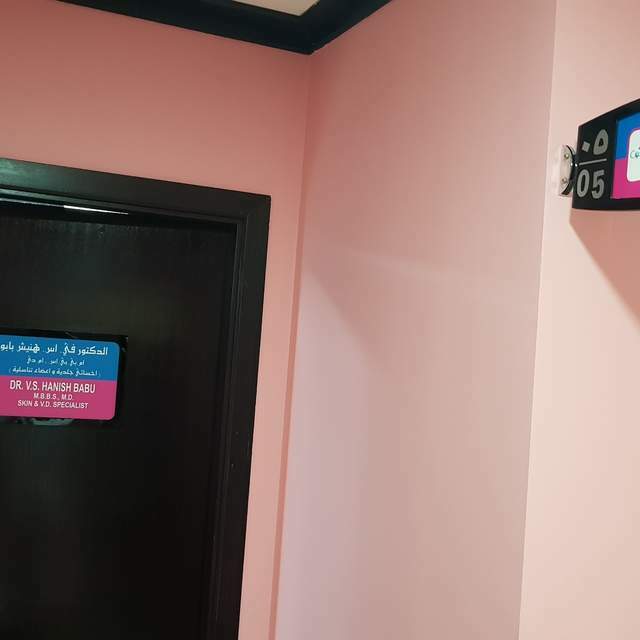 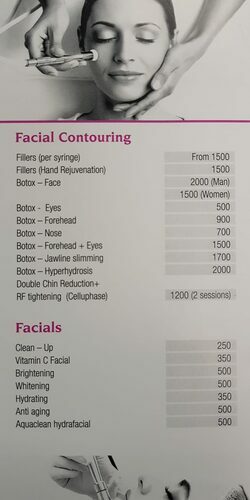 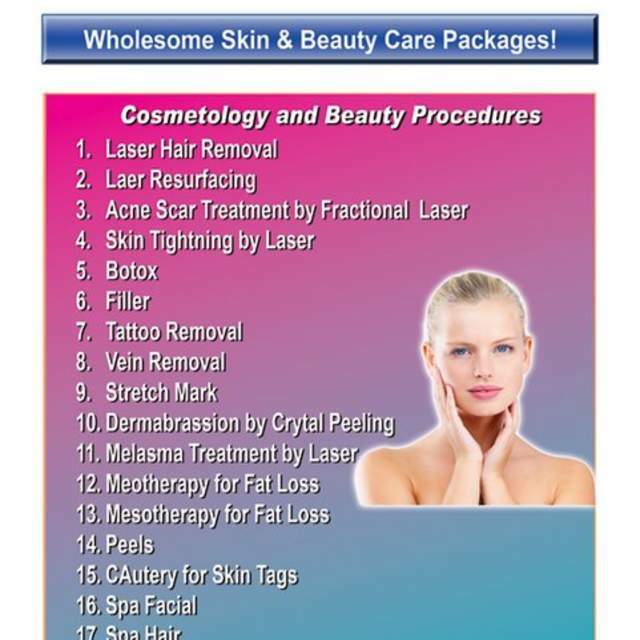 Cosmo Laser Medical Centre Sharjah is a One Stop Cosmetology, Skin, Laser and Beauty Treatment Centre, catering to patients from all over UAE and providing quality cosmetology and dermatology care at affordable costs. 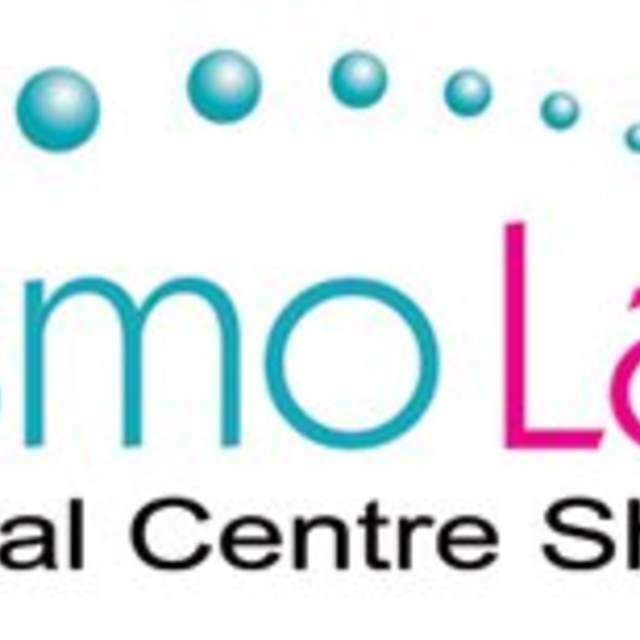 The staff of skilled professionals at Cosmo Laser Centre focus on providing you with a first rate service, at affordable prices, and, with a personal touch. 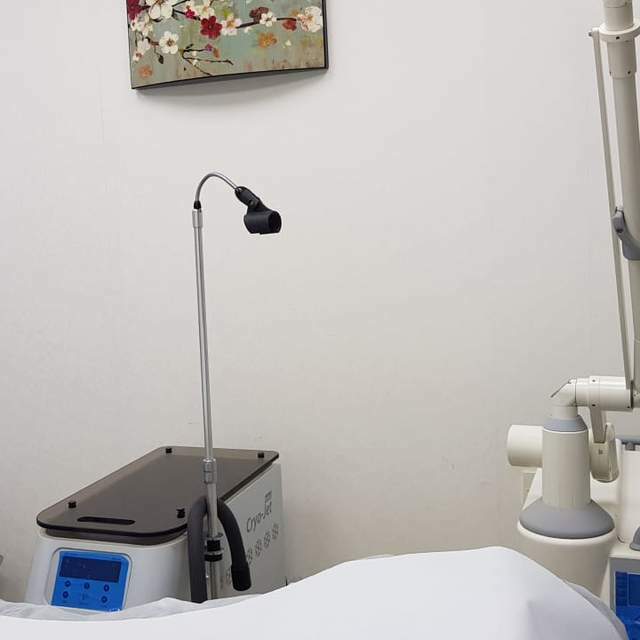 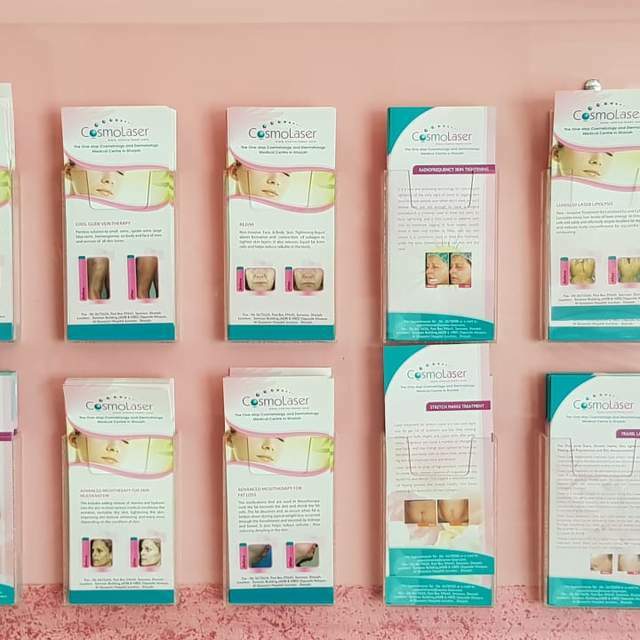 The skin care and cosmetology specialists at Cosmo Laser perform and specialize in a variety of procedures, allowing us to meet the individual needs of each client. 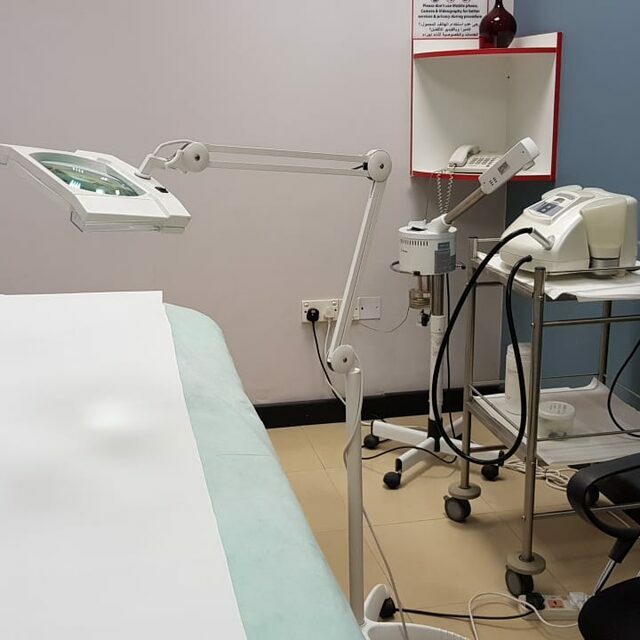 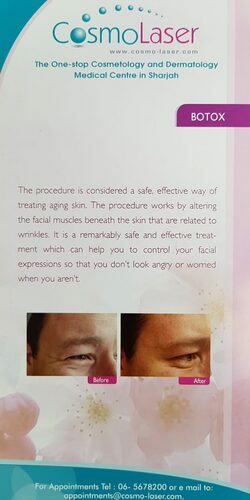 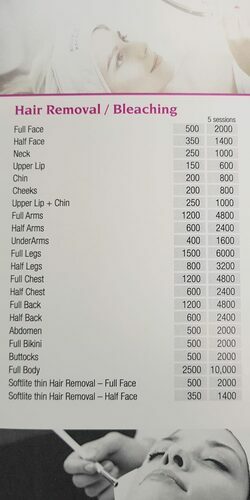 We use the most advanced cosmetic procedures which medical technology has to offer. 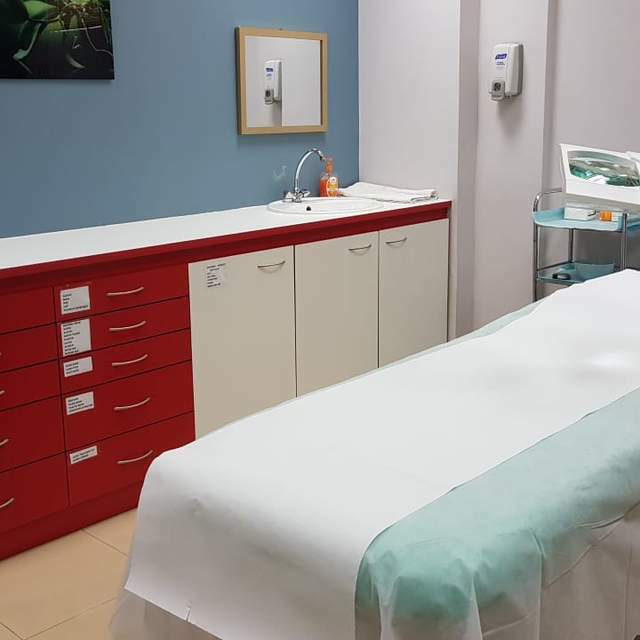 vide clients with a thorough consultation about all the procedures available at the center, ensuring that each patient is well-informed and confident in their decided procedure. 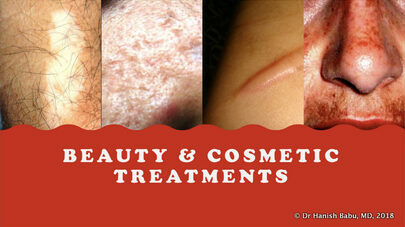 We have solution for all your skin, beauty, and, yes, hair & nail problems! 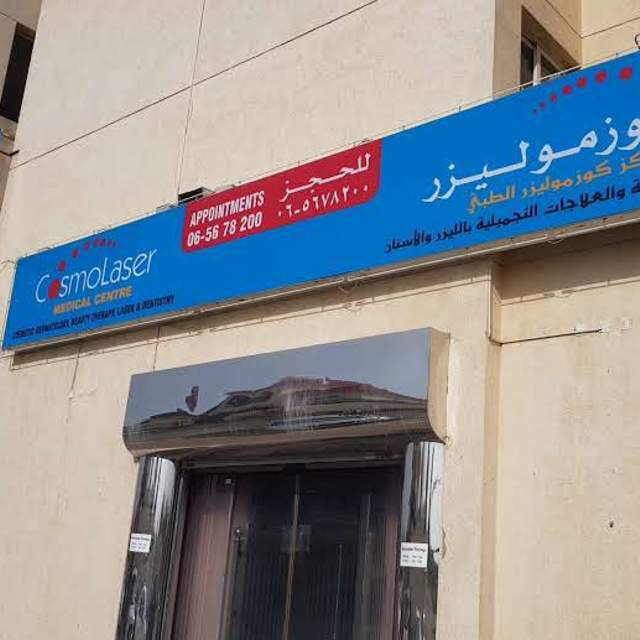 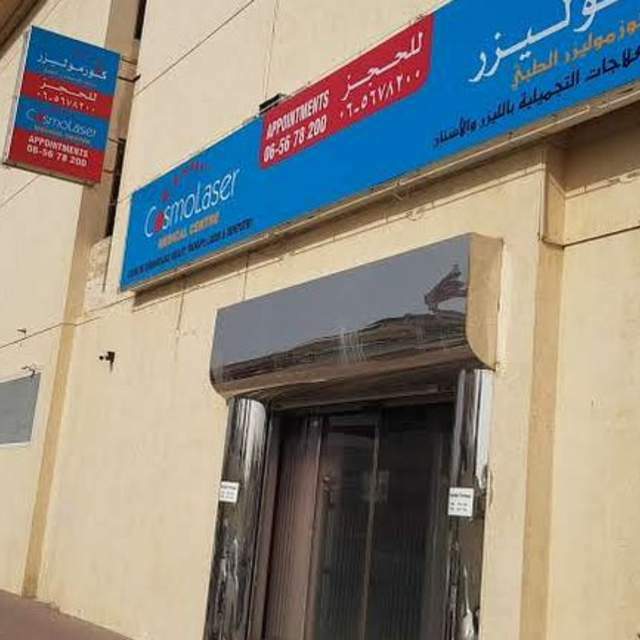 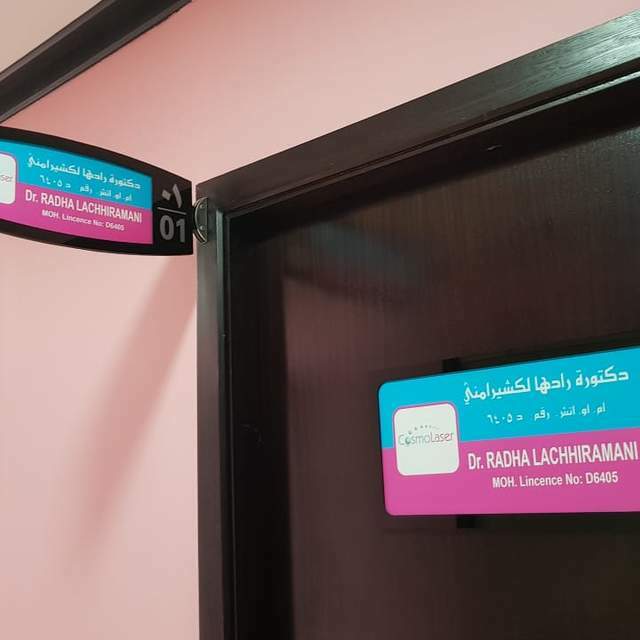 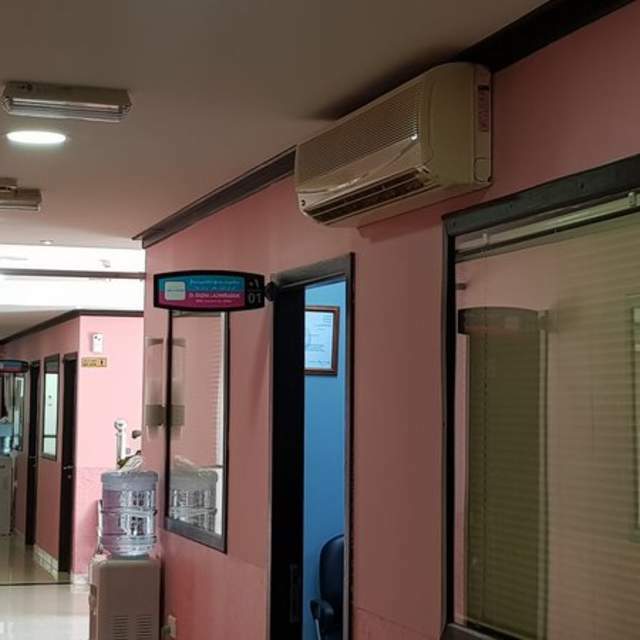 Cosmolaser Sharjah is ideally situated near the Al Qassimi Hospital opposite the mosque in the Abudhabi Islamic Bank (ADIB) Building on the ground floor. 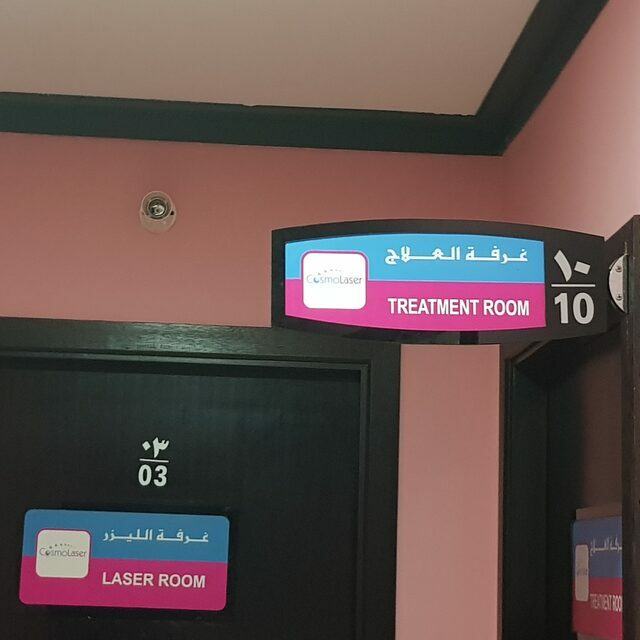 It is easily accessible from all emirates through the Emirates Road. 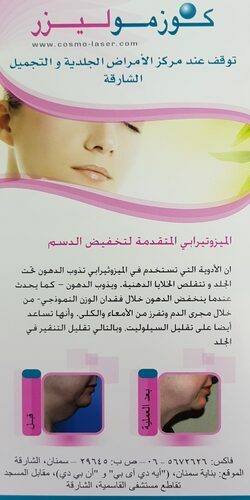 Working hours are Morning 9 am till Night 9 pm. 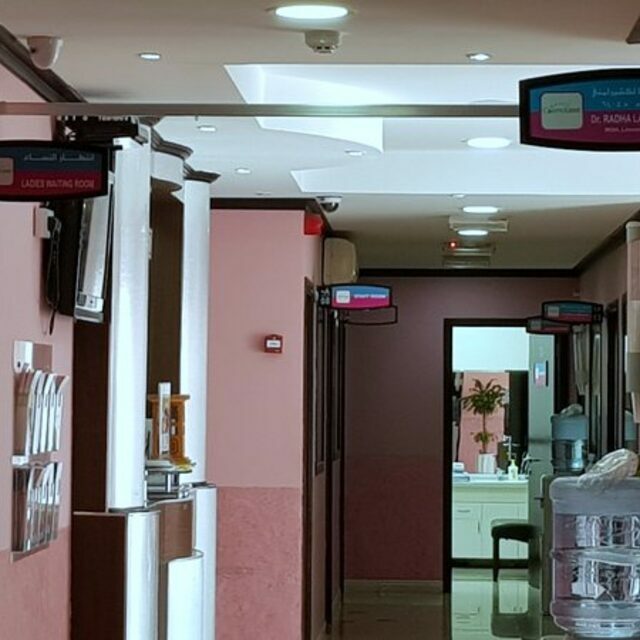 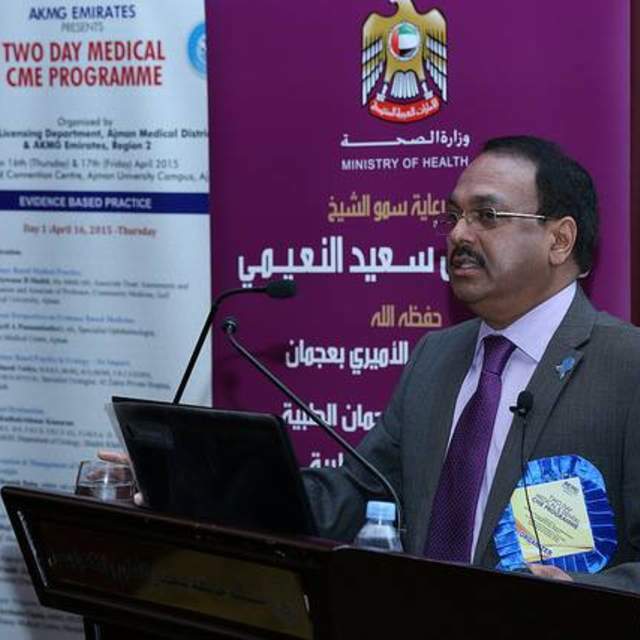 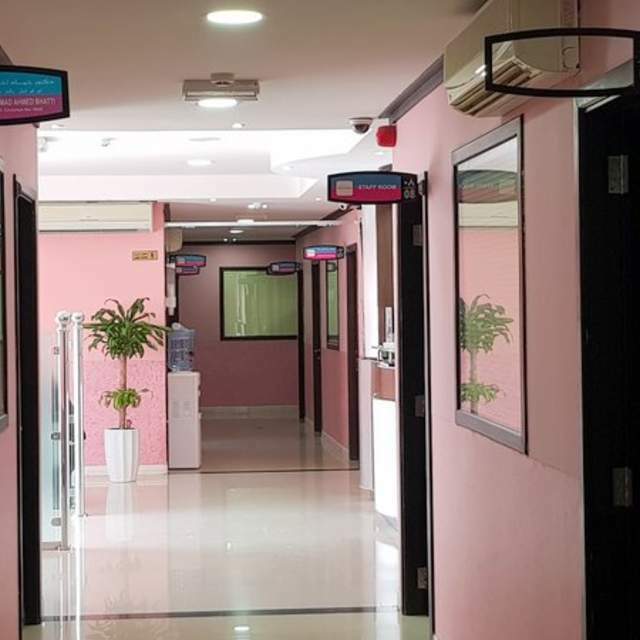 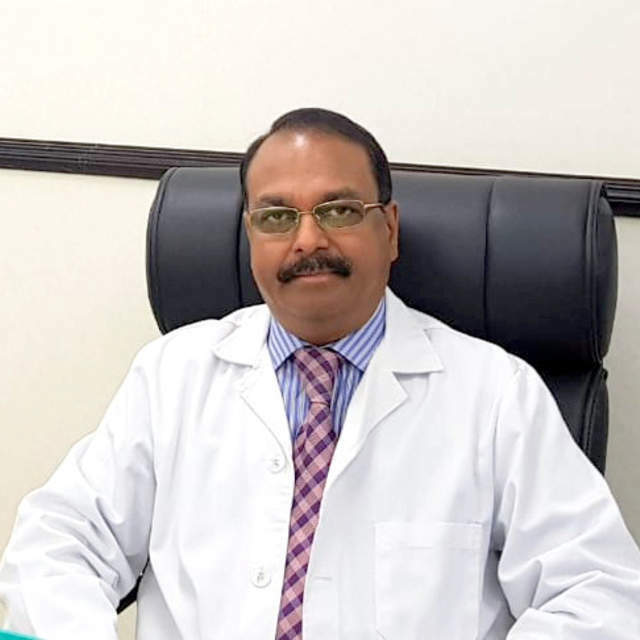 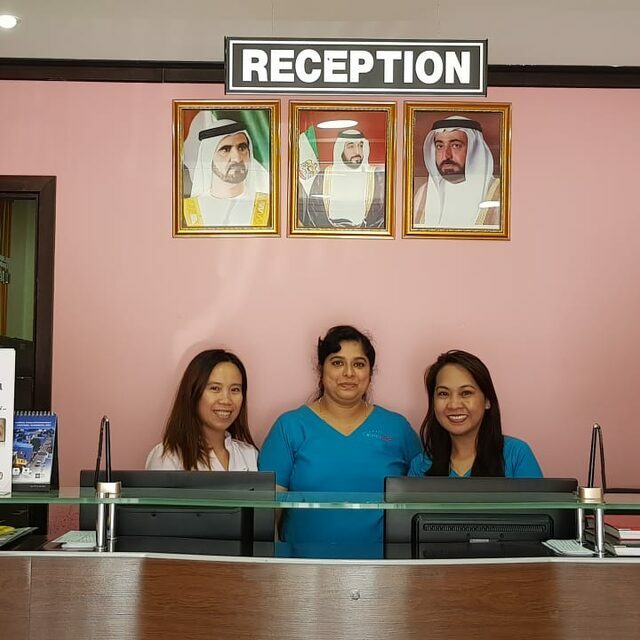 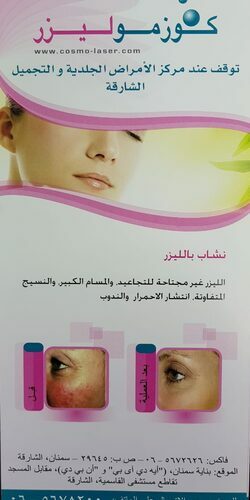 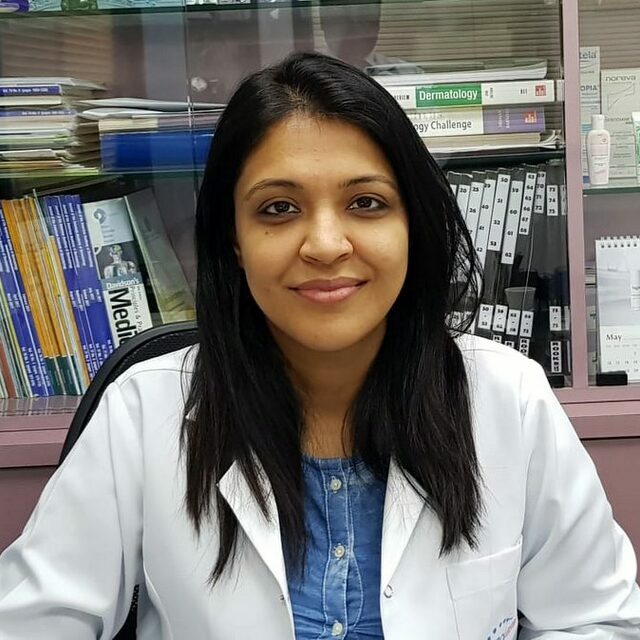 Cosmolaser Sharjah: Aesthetic Ambience; Friendly, Experienced Doctors and Staff.